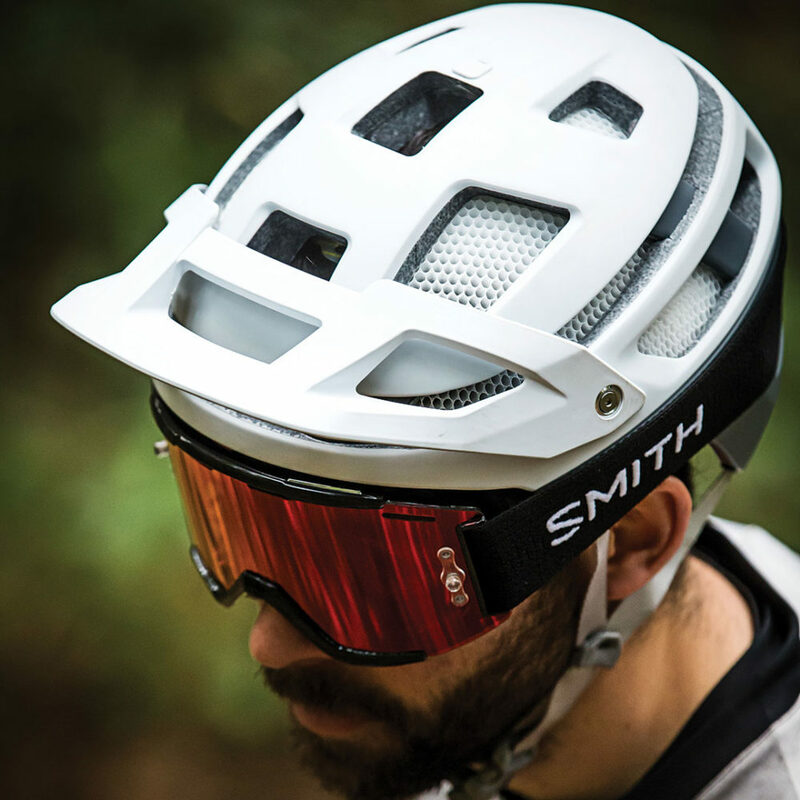 New to Wheelbase for 2019, Smith bring a highly technical offering of bike helmets and goggles to our expanding range of MTB products. 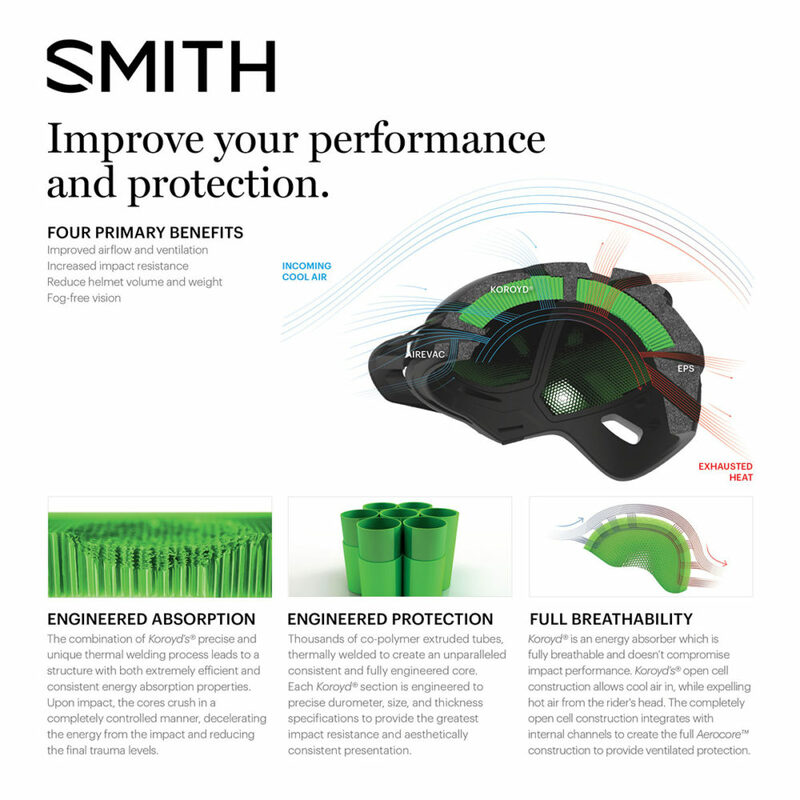 The USP of the Smith helmet range is the integration of Koroyd® into the helmets. Koroyd® provides superior impact absorption, design flexibility and ventilation when compared to materials used in traditional helmet construction such as EPS. Unlike traditional protection materials, Koroyd® cylinders absorb and convert more kinetic energy, whilst increasing air flow and reducing overall weight. An ideal helmet for enduro riders, the Forefront 2 combines superior protection, ventilation and goggle integration for full coverage and all-day wearability. The Forefront 2 is packed with features such as AirEvac™channels to promote airflow and prevent fogging of eyewear, added Koroyd® protection on the back of the helmet, a three-position adjustable visor, anti-bacterial performance lining with ultra-light single layer webbing plus the MIPS protection system. 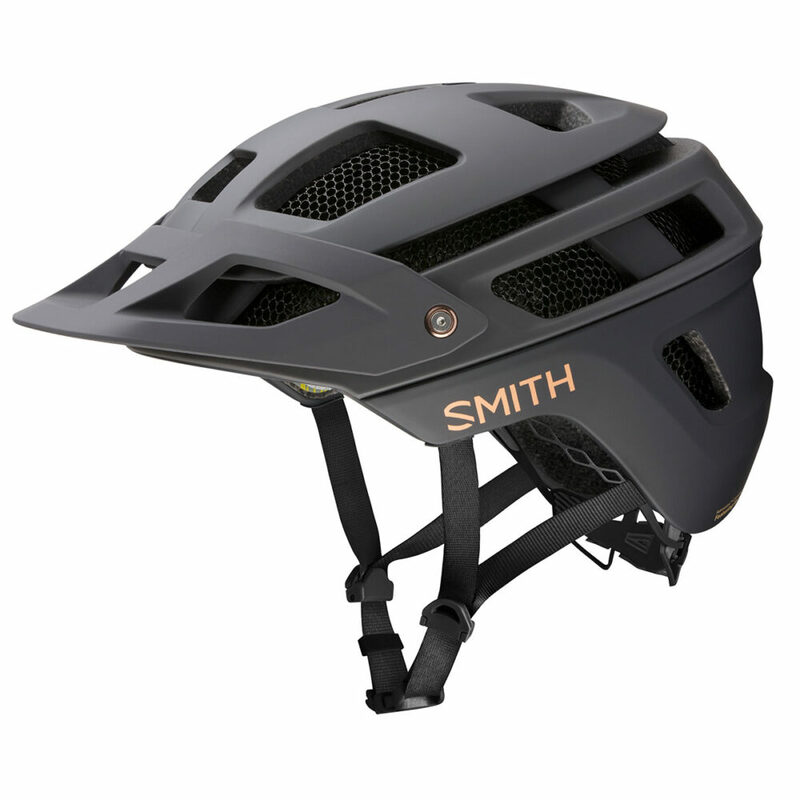 Another all-mountain helmet, the Session is designed for riders looking for a balance of style, protection and ventilation. The Session features channels on the front of the helmet for easy eyewear storage, and the three-position visor rotates high to allow for goggle storage. Koroyd® is featured in strategic, zonal impact areas giving riders the confidence they need to charge harder and the top of the helmet has massive airports which combine with internal air channels to allow for maximum airflow and ventilation. 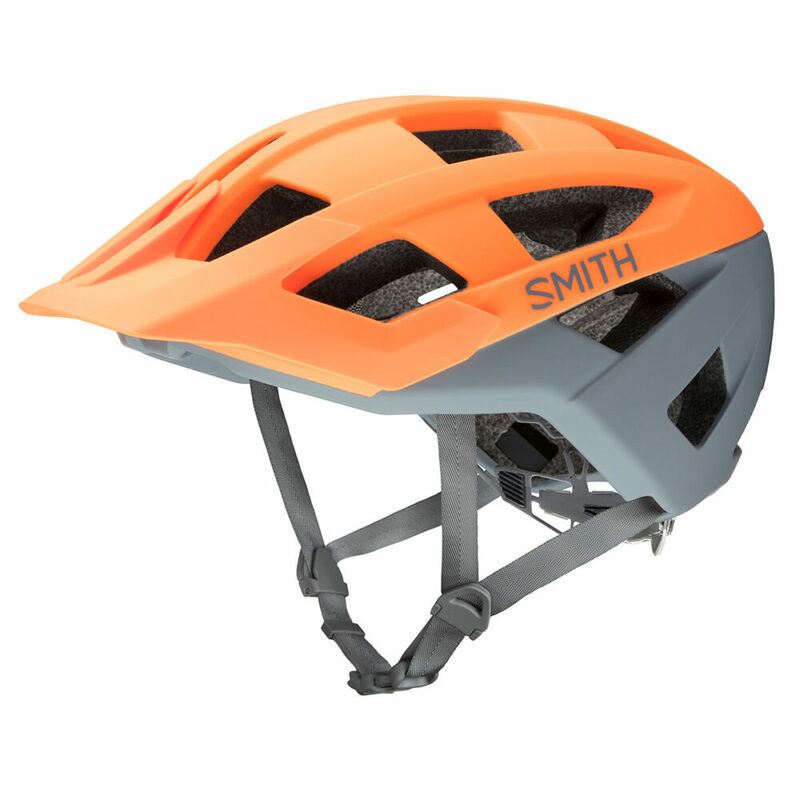 A helmet for mountain bikers looking for a great fitting helmet with style at a lower price point. 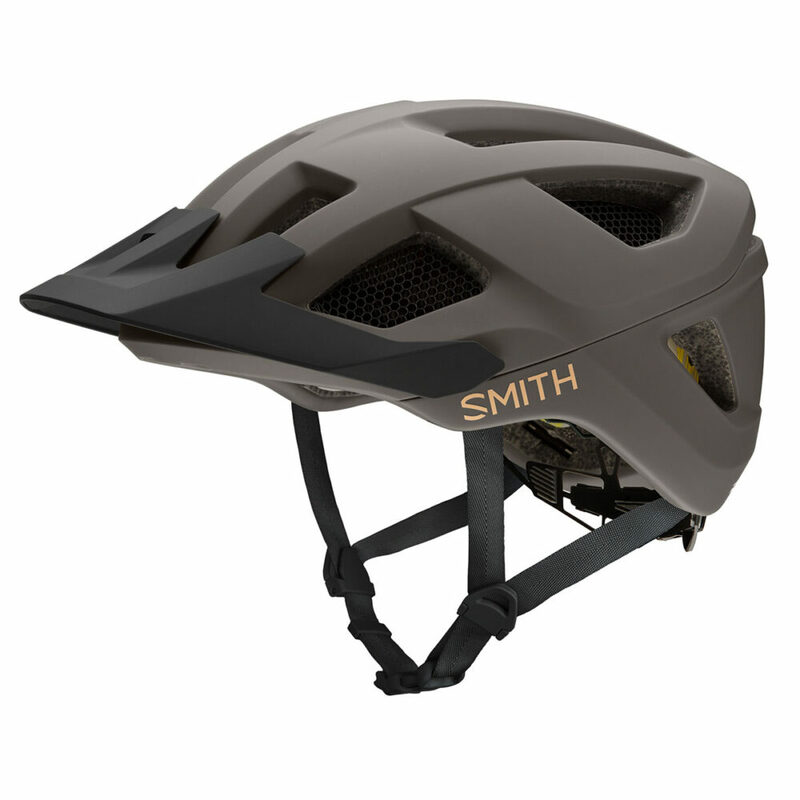 The Venture features extended coverage on the back of the head for additional protection, internal air channels and 18 vents. The VaporFitTM system makes for a secure and comfortable fit.